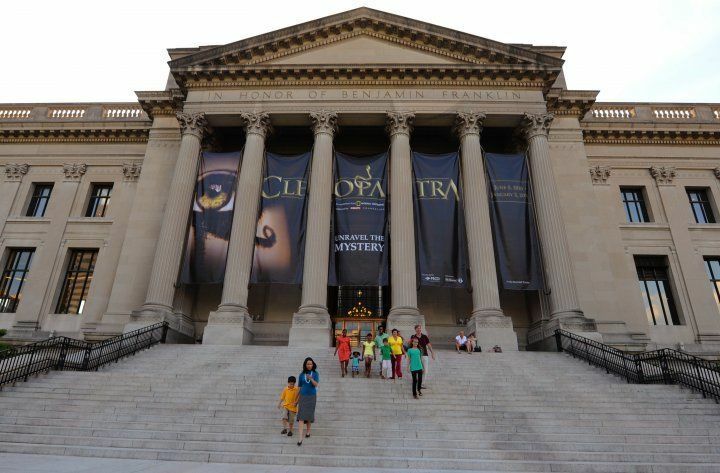 The Franklin Institute is known for blockbuster exhibits, one-of-a-kind theatrical experiences, and a growing roster of evening events for adults. The walk-through Giant Heart, SportsZone, and Your Brain exhibits are favorites. Admission includes a show in the famous Fels Planetarium! Founded in honor of America's first scientist, Benjamin Franklin, the mission of The Franklin Institute is to create a passion for learning about science and technology. Every spring the Franklin Institute partners with Philadelphia's cultural and educational institutions to organize the Phiiladelphia Science Festival, which is presented by Dow Chemical Company.